In this episode of Unravelling, I got to chat the magical Sinéad de hÓra about a whole host of things. From intuition, manifestation, slowing down, listening to the body and the art of embracing playfulness as an adult. I absolutely loved this conversation which was a true free flowing chat between two friends. 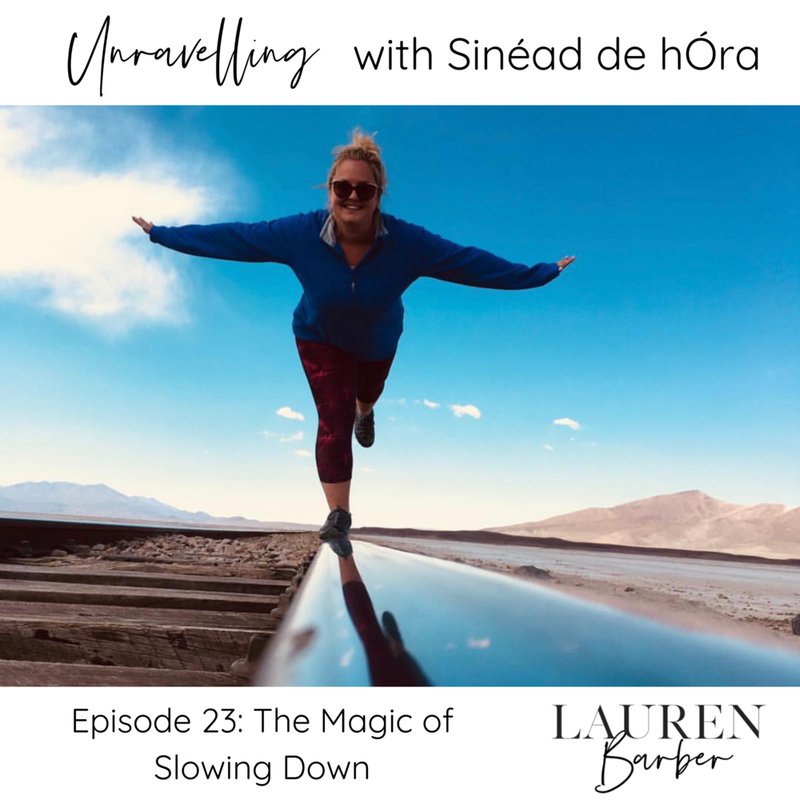 How Sinead is embracing the magic of slowing down - and remembering how to enjoy the moment for what it is. How playfulness is the key to creativity and ideas. Sinead’s own journey in remembering and reconnecting with her spiritual self and what her life is now like as an intuitive healer. How surgery for edometriosis has impacted her life, and how she has accepted her changing body. How to get unstuck and create flow in life to manifest our deepest desires, even when we don’t know exactly what they are. Follow Sinead on Instagram here and on Facebook here.